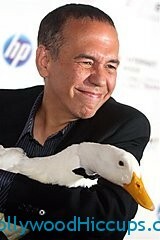 Gilbert Gottfried was already one of my least favorite humans. Then when he made tasteless jokes about Japan, that put me over the edge. So I am more than happy to announce that he has been fired by Aflac… he is that annoying duck voice on there and since 2000.